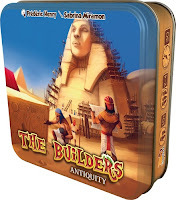 Not only do we sell board games, we also provide tables and a library full of open board games, card games, and dice games for you to come in and play. 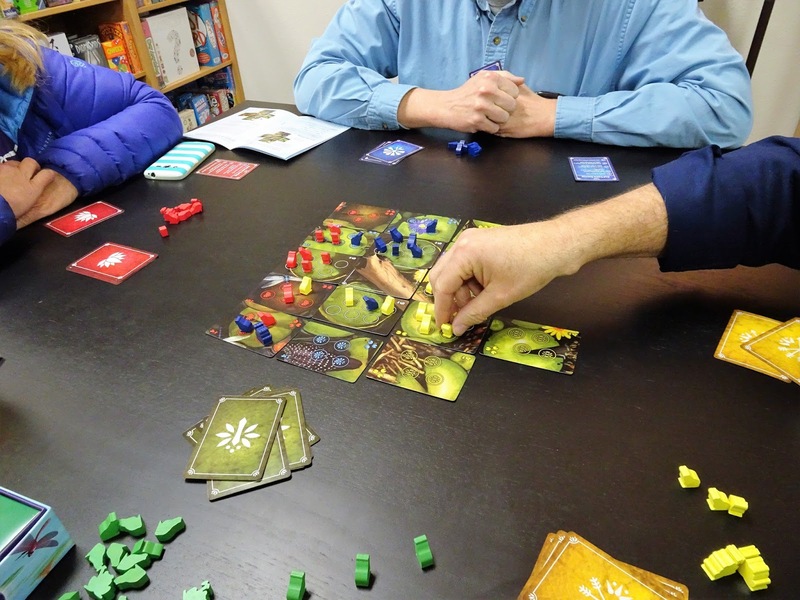 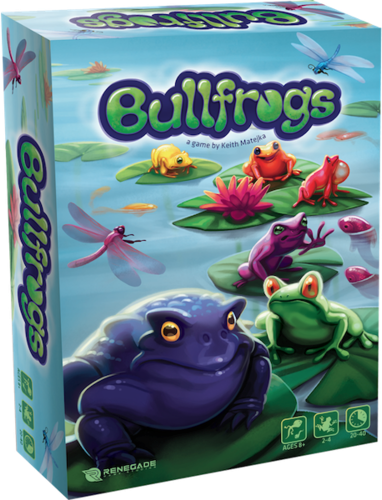 The tables are open during store hours as well as during our Weds and Friday evening Open Game Play Nights. 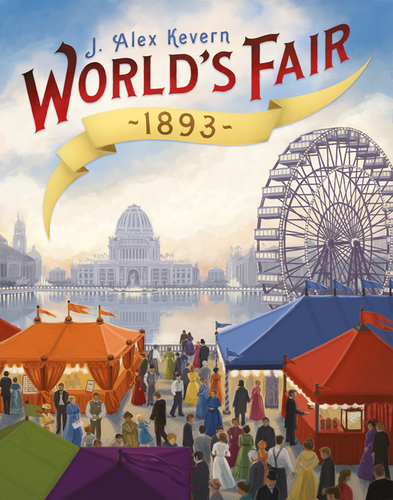 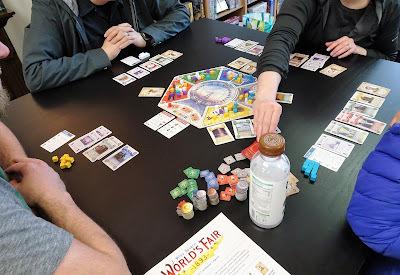 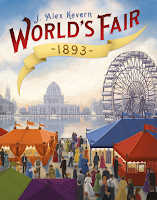 A game of World's Fair 1893 in play. New Game Splash Events provides you the opportunity to see and play a new game coming on the market. 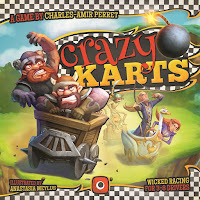 Mike V. will be here for another session of the new game Crazy Karts, a team based family game about a crazy race. He will demo and lead game play for all who want to give this wacky game a go. The race runs through a maze of obstacles with 2 drivers (players) in each kart. 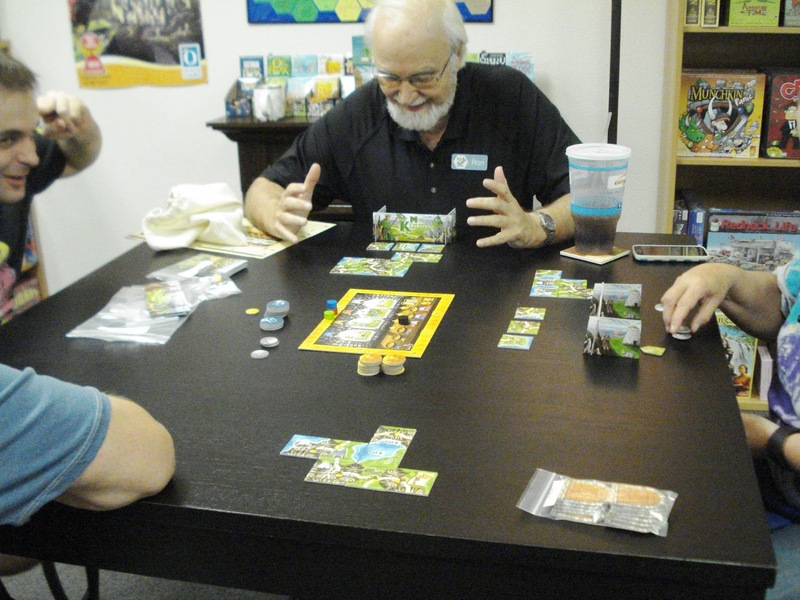 Each driver controls only half of their kart's controls and cannot talk to each other. 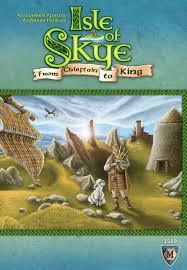 A game of Isle Of Skye in play.